The expenditures allegedly date back to May 2018, when union president Ram Ganesh began his term. 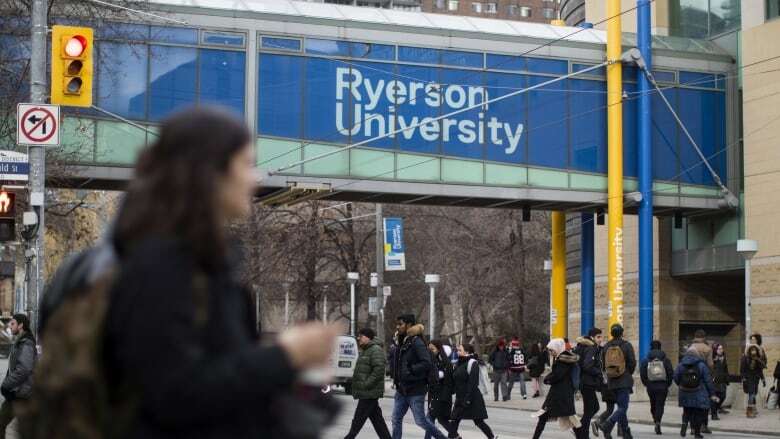 The president of Ryerson University has asked to meet with the school's student union about allegations of financial mismanagement as a deadline for them to explain a $250,000 credit card bill approaches. "Protecting the interests of Ryerson students is of primary concern to the university," reads an email statement from the school's administration. "Given the seriousness of these allegations, President [Mohamed] Lachemi has written to the RSU executive to request a meeting to discuss this matter." Last week, it was revealed that the student union is currently facing hefty credit card statements that include a number of questionable purchases at places such as the LCBO and a Toronto shisha lounge, as well as charges from a credit risk company based in Stratford, Ont. Details of the statements — which CBC Toronto has not seen — were first reported by Ryerson University's student newspaper, The Eyeopener. The expenditures allegedly date back to May 2018, when union president Ram Ganesh began his term. The statements are addressed to Ganesh. It's unclear what recourse the university could take in regard to the student union, since they are separate entities and the school "has no ability to conduct an independent investigation into RSU finances," according to the statement. The Friday deadline to resolve the issue was handed down by the student union's financial controller.